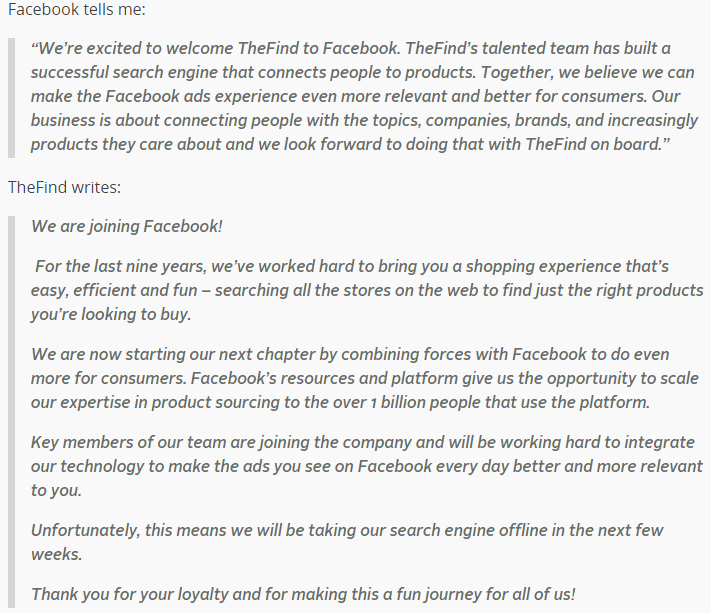 Facebook on 13th march reported it has acquired personalized shopping search engine TheFind to improve it’s commerce ads. 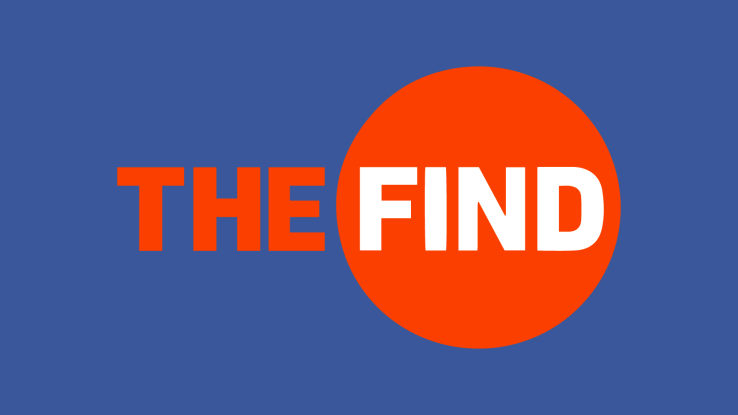 TheFind had raised $26M from Lightspeed and Redpoint since getting off the floor around 2005, but will now be going to shut down. Some, but not all, members of the organization are joining Facebook. TheFind’s product helped people to get customized recommendations for products while exploring through its massive database of products. A user could begin with somewhat generic terms like “black shoes” and then compare prices on black shoes from a wide array of retailers aggregated by TheFind. They could also discover places to buy their chosen product locally if they want it right away. Just last month, Facebook introduced a special ad unit designed to highlight certain products a merchant is trying to sell off. TheFind could assist Facebook better match not just a service provider to a user, but make sure the products shown in the ads are things they are likely to buy.